The American Girl store inside Oak Park Mall is a little girl&apos;s dream! From the moment she walks in, she&apos;s surrounded by the iconic dolls: The Girl of the Year, BeForever, Truly Me, WellieWishers and many more. One of the best features in the store is the doll hair salon. She can pamper her doll with a new hairdo, pierced ears and spa pampering! Another fun feature in the store is the Creativi-Tee shop - is she not finding that perfect matching outfit for her and her doll? No worries, she can design matching t-shirts! Can&apos;t get enough American Girl? Sign-up for one of their many events like American Girl at the Nutcracker Tea Party and American Girl at the Kansas City Royals. 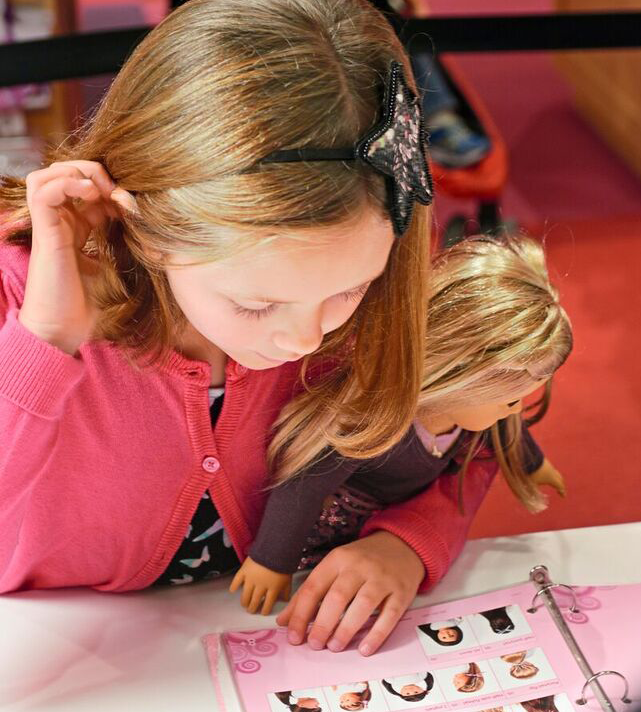 If you&apos;re planning a family trip, the Overland Park DoubleTree offers an American Girl package! This includes a specially decorated room, breakfast, a doll travel bed and dining discounts - an unforgettable treat for any American Girl fan and her beloved guest of honor. Other packages are available too, including family fun, bed and breakfast and weekend getaway. Check availability with the hotel before booking and plan the ultimate Overland Park adventure.